Josh Kelly, brother of Lady A band member Charles Kelley, is appearing in a movie along side his wife, Katherine Heigl. The untitled movie will be out around Valentines Day next year and Josh says the movie “is like a female American Psycho”. The movie will premiere at the Sundance Film Festival. 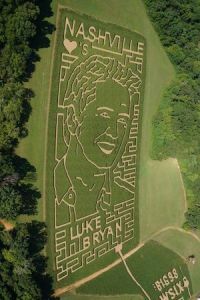 Honeysuckle Hill Farm in Springfield, Tenn has announced that their new corn maze will feature the face of Luke Bryan. Honeysuckle farms features a 7-acre corn maze and is located 35 minutes outside of Nashville. This isn’t the first county music artist to have their face carved out in a corn maze. Corn Dawgs in Loganville, Georgia announced that Florida Georgia Line would be featured in their corn maze this year. Hollywood’s most eligible bachelor is a bachelor no longer. Clooney married Alamuddin in a private ceremony Saturday in Venice, Italy. The guest list included a lot of A-listers including: Matt Damon, John Krasinski , Emily Blunt and Cindy Crawford. Brittany Kerr is setting the record straight, Jason Alden did not propose at the Zoo. Reports first stated that Alden proposed at the San Diego Zoo last week. However, when Brittany posted a picture of her engagement right she added the hashtag “It didn’t happen at the zoo”. Brittany didn’t confirm where Alden proposed. Eric Church and his wife are expecting their second child. Blake Shelton’s hometown names a road after him. 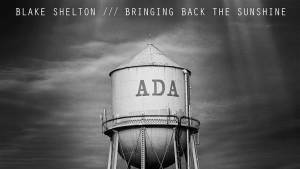 Ada, OK hosted a block party to pick off the release of Shelton’s newest album “Bring Back the Sunshine”. During the block party and unveiled Blake Shelton Boulevard. Lady Antebellum’s fifth studio album, 747, came out this week and the group sat down with CMT to talk about their new album. Hillary Scott says that fans will wear a different side of the group. 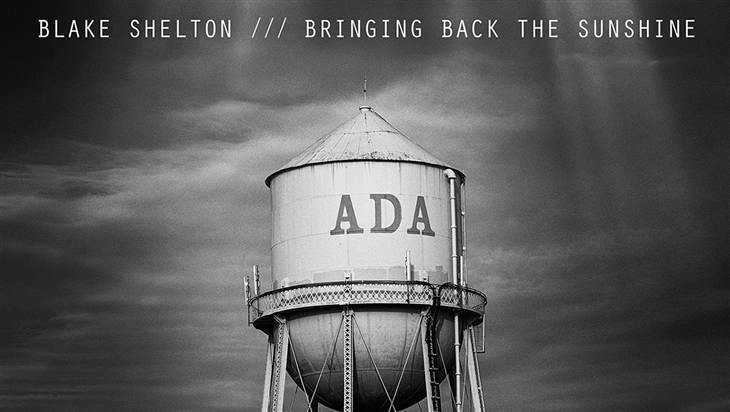 Charles Kelley added that this album is the most energetic and rocking album they have made yet. In addition to a new sound, the group also has a new producer, Nathan Chapman. Kellie Pickle and Amy Grant helped kick off Breast Cancer Awareness Month at an event in Nashville, TN. Kellie shared the story of her friends struggle with cancer and the decision to shave her head in support back in 2012. Kellie’s friend, Summer Miller, was at the event to show her support as well. Amy Grant shared about Athena bottled water and their support for breast cancer awareness. The event was sponsored by Pandora Jewelry. Tracy Morgan’s career future unknown. Tracy Morgan’s lawyer is saying the stars future as a performer is unknown after suffering injuries from a car crash in June. A tractor-trailer crashed into the back of a limo being used by Tracy and his friends. Tracy suffered multiple injuries as a result of the crash. His lawyer said this week that Tracy is in rehab for his injuries and that the “Jury is out” as to his future in the entertainment industry. Rascal Flatts band member Jo Don Rooney and his wife Tiffany Fallon welcomed their third child this week. Devon Olivia was born Monday night. If you’re a big Toby Keith fan you will remember Tiffany from his “Who’s Your Daddy” music video. Holly Williams, the daughter of Hank Williams Jr., gave birth to a little girl this week. Stella June Coleman was born Tuesday. Wyatt Isabelle Kutcher was born to Ashton Kutcher and Mila Kunis. In true comic form- Ashton post several picture of new born babies ( and a dog and llama), and left it up to us to guess which one is baby Wyatt. They couple hasn’t released confirmed which picture is the picture of their baby girl. Tune in Monday-Friday at 4:20 on Nash FM 1045 for the Nash News Minute. This entry was posted in Radio and tagged 747, Amal Alamuddin, Ashton Kutcher, Blake Shelton, Brest Cancer Awareness Month, Brittany Kerr, Corn Dawgs, George Clooney, Holly Williams, Jason Alden, Jo Don Rooney, Josh Kelly, Katherine Heigl, Lady Antebellum, Luke Bryan, Mila Kunis, nash news minute, Tiffany Fallon, Tracy Morgan.